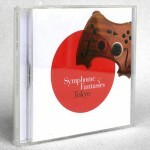 Symphonic Shades, Symphonic Fantasies, Symphonic Legends. 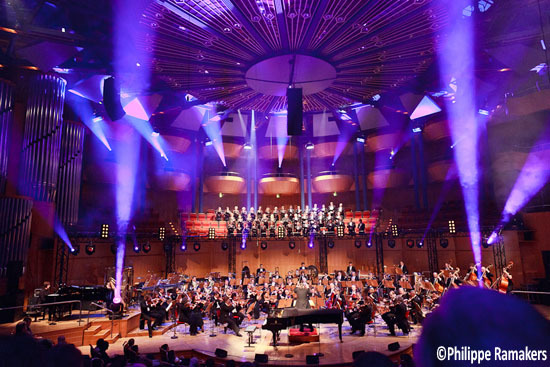 Three concerts over the last three years that have become synonymous with progression, beauty, revolution and controversy in the world of videogame music live orchestra. 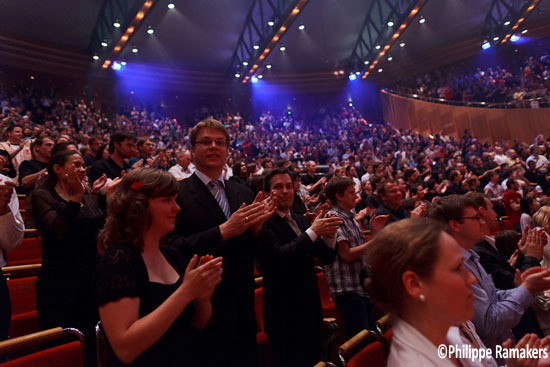 Since the earlier days of the Leipzig Symphonic concerts, its been a constant mission for the European based production team to not only deliver the greatest performances from the orchestra at hand, but to truly portray the atmosphere and spirit of the source material and craft a story standing on its own two legs. 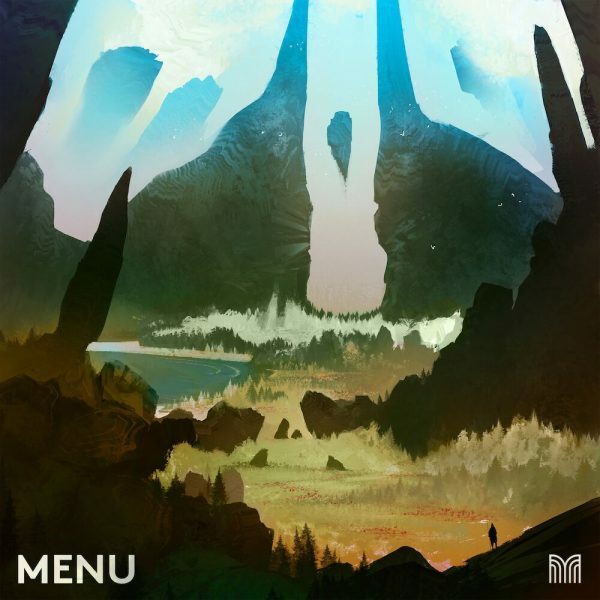 It’s led to masterpieces such as Jonne Valtonen’s grand epic “Symphonic Poem” and Roger Wanamo’s layered “Chrono Trigger/Cross,” and also controversial underdogs like “Suite Samus Aran – Galactic Warrior.” The team pushes the envelope to truly explore the true essence of every piece and strives to prove that there are more to them than just instant nostalgic rushes and cheap laughs, gaining the respect of composers and audiences around the world. July 9th marked the fourth installment of the Symphonic series, a revisit of the mind of Nobuo Uematsu. This time, we were invited to journey through the career of the most famous videogame composer of all time, and hear the all new interpretations of some of his most famous works, along with some lesser known yet incredible work from the vast library of Uematsu. The composer himself was also in attendance to show his gratitude to the orchestra and the audience. Was the fourth installment able to once again amaze and push forward? Find out after the jump. The structure of the night’s event was set up for the audience to be able to keep up with the program without emotionally fatiguing themselves. Out of the 10 pieces performed, 2 were long suites and the rest were paced accordingly depending on the intensity of the material between one another. It might seem like an easy job to simply put the concert set list together and close the production book, but pacing is essential to keep momentum going throughout the event, and its one of the areas that the Symphonic team always shines by meticulously looking at every note and detail to find the proper place in the grand scheme. 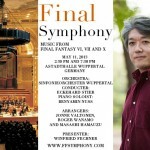 The show would consist of the exclusive fanfare written by Uematsu, Final Fantasy, King’s Knight, Chrono Trigger, Final Fantasy Legend, Final Fantasy X, The Last Story, Final Fantasy XIV, Blue Dragon and Lost Odyssey, where Final Fantasy and Lost Odyssey acted as the long suites to tie the concert together. The fanfare, as noted, was composed by Uematsu for this concert. The fanfares for the Symphonic concerts are always very interesting seeing that for one they are completely new, but they also are arranged in such a manner that it properly introduces the audience to the various sections of the orchestra that they will be watching throughout the night. Here, Uematsu crafted a wonderfully light and rather playful melody, working in each section of the orchestra one by one, with the strings, percussion and brass coming into play after one another. 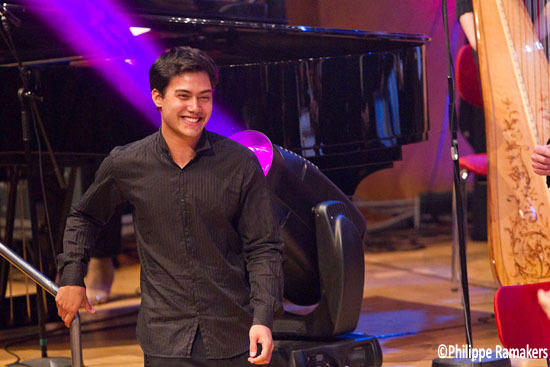 The melody feels almost like a reflection of Uematsu himself, being a very young, adventurous soul with a very playful overlaying spirit, yet with its sheer amount of depth and intensity in its focus. A wonderful detail was the ringing of the bells, signaling that the night’s adventure had begun. And what better way to go on an adventure than to travel through the world of Final Fantasy. A somewhat surprising initiation of the concert seeing that it is the title the whole audience was most familiar with and most expecting, but as a result, it opened the ears and minds of everyone to fully listen to and discover all the subsequent pieces without holding onto the anticipation of the beloved role playing series. Roger Wanamo was the arranger for this piece, and with it he strove to do similarly what Valtonen did with Zelda the year prior: to create a fully breathing and encompassing world with the use of the music from earlier titles of the series. A piece written for piano and orchestra, this also saw the return of Cologne’s own piano prodigy Benyamin Nuss, who would be at the forefront of the piece. Wanamo entered the world of videogame music by his revered use of layering different melodies on top of each other, interweaving them seamlessly. Here he returns to form in what can only be described in a madman’s road map to Final Fantasy, with so many melodies interchanging and alluded to, with shimmering of famous motifs throughout the series being a constant and an unusual yet welcome track selection. It might sound rather chaotic, but nothing could be further from the truth; everything flowed together with such an extreme beauty. The material on hand was from the 1st to 6th installment of the long running game series split into 3 movements, each appointed their own specific mood. From the soft yet gripping strings of “Darkness and Starlight” to the intense and powerful “Battle With The Four Fiends,” the WDR fully portrayed every bit of emotion intended. The most important part of the puzzle of this piece however was young Nuss. Looking back at Symphonic Fantasies, it was there that Nuss came into the wider public eye by being part of the very first piece of that night, Kingdom Hearts. There, he showed such an incredible amount of technical skill and professionalism, but yet a somewhat shy, if not reserved demeanor. Two years on, we now see a more mature and determined man than ever before, and as he came out he even looked as if he was a bit distressed. “Was he feeling completely ready?,” “Is something wrong?,” are a couple thoughts that through my mind. At the first note that he played, I realized that there was no distress, rather, Nuss was more determined than ever and he knew as he walked out that this would be the strongest performance he’s ever given. His rendition of “Boundless Ocean” and “Darkness and Starlight” brought rarely seen tears to my eyes. Quickly drying my eyes and flexing my muscles in hopes that no one saw me as I decayed my own macho facade, I looked around the hall to see an almost entire symphony hall in tears, girls with handkerchiefs, couples in tears letting themselves go into the music, a man flexing back and winking at me in return, I realized that Nuss had managed to bring out everything and touched everyone’s hearts to the point of real tears. And in his maturing as an artist, the strength of his performance and the emotions that he himself displayed while playing with tears running down his own face, it only invited the audience to care about him, the orchestra and the music itself. Even with the very few mistakes he made, his playing was so powerful that the slips made it even more human. It is such an impressive sight to see one man be able to stand so firmly and never be overshadowed by the large orchestra, but rather be the center point of the attention and sound. Benyamin Nuss completely stole the show, and we were only two pieces in. King’s Knight was actually one of the earlier titles Uematsu composed, and the first time it had been orchestrated and arranged. 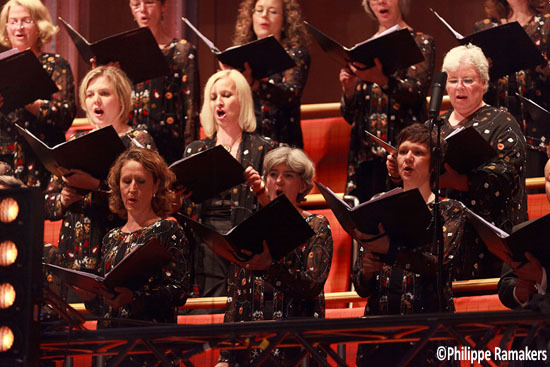 This piece introduced the WDR Cologne Choir, and their introduction was interesting to say the least. With the usage of the kazoo, their opening fanfare to the piece sounded somewhat humorous with the humming sound of the kazoo-equipped choir fitting the small sized hero and adventure it is based on. The overall piece was a fine marching heroic melody with a brass lead, and breaking into dramatic choir sections with English lyrics in a very strong performance by them. Despite being widely unknown to the majority of the audience, Valtonen’s arrangement proved strong enough that it became a crowd favorite and surely more will remember the game now than before. The next piece was the night’s dose of controversy, being Chrono Trigger’s “Silent Light.” Now the mere mention of Chrono Trigger will trigger many memories into gamers’ hearts. The wonderful main theme and the diverse character-centered themes, the expectations would be of these things. But Uematsu only had a helping hand in this soundtrack, and one of the songs he composed was the more reserved “Silent Light.” On top of this, the orchestra was not used for this piece, rather the entire focus was on the choir. The result was in my own opinion the best piece of the night, and one of the most beautiful live music moments I have ever been able to experience. The layering of the voices, the thought provoking lyrics, the mood and atmosphere by the minimalistic lighting and music, it was absolutely spectacular. I felt one thing was a bit off, and it is maybe a bit technical which I won’t divulge much time into as I do not want to rely on technical structuring to review what is meant to be a voyage into emotions and not academic research. Arnie Roth is an absolutely wonderful person and should never be questioned as a great conductor and musical mind. But his conducting has certain limits and his focus seems to be mostly in the high beats, leading to a harder, more intense conducting approach. In a piece that is so delicate, flowing and deep as “Silent Light,” I do wonder if the piece could have been even stronger in the hands of a more organic flowing conductor, though regardless, such details do not capture the general public’s eye, and the piece was already such an amazing experience. Valtonen will always been known for his incredibly deep and revolutionary “Symphonic Poem,” but I will also remember him for this, as it is an exact opposite with the same amount of strength. A credit to the genius that is Jonne Valtonen. My own most anticipated inclusion and an under appreciated handheld classic, Final Fantasy Legend 1 and 2 took the stage next. This piece would reflect on one of Uematsu’s admitted inspirations, John Williams. A highly cinematic take on the handheld games, which are today more commonly known as the SaGa series. A slightly campy, yet emotionally appropriate triumphant melody that felt more careful in its arrangement than the other pieces and as such did not incite as much in me as I had expected, though nonetheless it was a great little cinematic piece. Had the structure of the concert been different and allowed for it, I would have argued that this would have worked better as an opener since it did feel a bit lost in the overall shuffle. 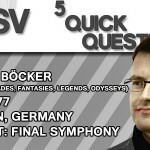 At its announcement from the presenter of the night, Ralph Erdenberger, Final Fantasy X‘s “Fleeting Dream” was actually met with a gasp from the audience and immediate roar, surprising me as I have not played many of the games beyond VI, though I am familiar with the music. The popularity of the song was right away rectified and explained to me with the absolutely wonderful arrangement by Wanamo and again making use of a English lyrical choir. Of all the songs of the night, this one here got the most reaction. As I had been gripped by the piano playing of Nuss, “Fleeting Dreams” was met with an even stronger emotional response with a great number of the female audience openly weeping, making the nose blowing into the handkerchief an almost additional instrument to the overall piece. Even for people such as myself that is not too incredibly familiar with the setting and surrounding elements from the song in question, it was an absolutely stunning piece and I could vividly feel every chord and note throughout. During intermission, I took my chance to talk a bit to the various audience members and say my praise to the young Nuss who graciously took his time to sign autographs and take pictures. The mood was electric and with the intermission, many saw their chance to finally dry their eyes and regain their calm. Not a frown in sight, not a negative vibe to be picked up, everyone was at the height of their emotional peak ready for another run. One thing that needs to be said about the Cologne audience and the travelers that go there (over 7 nationalities were in attendance), is that it’s a very sophisticated and intelligent audience that has managed to keep both traditional and contemporary values to them. This is not an audience that will simply react to lasers and guitar solos, they come with a clear message that they want to be transported into the world that inspired them. Having been able to attend various productions around the world, I am always impressed to see that despite many of the very young members in the audience, their perfect English and thoughtful answers to my questions never fail to surprise me. After intermission it was time for the concert to head in a more contemporary direction by exploring the later works of Uematsu and as such, there was a healthy number of exclusive material to be heard in the second act. Speaking of exclusives, I can happily announce to our American readers that not only will Europe see the release of The Last Story on the Wii system next year, but we also got a world debut of “Spreading Your Wings” from the game at Odysseys. Did I say happily? Of course I meant devastatingly and teasingly. Anyway, the arrangement was a beautiful string piece with many wind elements. This piece was arranged by another Finnish arranger named Jani Laaksonen who was sadly not in attendance but wherever in the world he was, he can rest assured that his efforts stood up as strongly as those of Valtonen and Wanamo. Final Fantasy XIV was the most atmospheric arrangement of the night, transporting us into the green plains with unique percussive elements from both the string section, piano and percussionists while the wind section delivered most of the main lead. It eventually evolved into a full melody before again reverting back to the more atmospheric elemental main part of the piece. Lighting and stage production is something which I personally often find to be a distraction, feeling that the orchestra and performers should always, no matter what reasoning, be in the forefront of everyone’s visual attention. But here I will give credit that the changing of the green walling and warm lights gave it a very naturalistic atmosphere both for the eyes and ears, and if there is an argument for the usage of such things, this would be one of the better. Blue Dragon’s “Waterside” has become one of Uematsu’s all time classics due to the fans’s embrace of that particular song, and here Juraj Cizmarovic took the lead on violin similarly in the way he did at Symphonic Legends. Somewhat surprising was the absence of Benyamin Nuss as this piece would have been perfect for a reprise of the interplay between Cizmarovic and Nuss, though this might have been due to the similarity of the mood of the piece itself and to differentiate it from “Aquatic Ambiance” more effectively. Cizmarovic’s hearth wrenching violin along with the soft reserved string section behind him made for a very deep reaching arrangement, and the ending violin solo was incredibly touching. Last but not least to the official program, Lost Odyssey, the 2007 title from Mistwalker. The soundtrack has gotten considerable praise since release, but up until hearing it here at this concert I was unfamiliar with it. 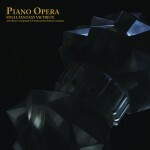 Lost Odyssey would be the second of the long pieces, 20 minutes in length and arranged by Jonne Valtonen. A grand epic in 6 parts, going through the songs “Main Theme,” “A Formidable Enemy Appears!,” “A Sad Tolten,” “Dark Saint,” “Light of Blessing – A Letter” and finally reprising the “Main Theme” to come full circle. An incredibly rich medley with the orchestra being put to full use along with the choir through the entire spectrum of emotions, from engaging battle hymns to epic main themes and touching soft melodies. The choir again did an outstanding job during this long piece and proved themselves throughout the night to be a world class unit. The organ was also put the use during this, which is such a majestic instrument that it should be used more. Again a nice touch to end the song was the ringing of the small bells, as a callback to how the concert was rang in by bells in the beginning of the fanfare. Despite similar lengths, the structure of this piece is very different from Valtonen’s “Symphonic Poem,” as it should be, and is more traditional in progression and approach. Despite knowing nothing of the music, it was a strong enough rendition that I immediately purchased the game solely based on my experience with it live at this event. To the sound of roaring applause and a standing ovation, we were served an encore, one which surely did not disappoint. The gasping females had to once again draw their breath as we were about to revisit Final Fantasy X‘s “Ending Theme” specifically. Nuss returned to piano for this encore much to the delight of the audience. An exceptionally warm and touching performance as is expected with Nuss, and the encore truly wrapped up the show perfectly, ready to send people home with love and memories in their hearts. The warmth of this arrangement can probably be tied to the fact that none other than Masashi Hamauzu did the arrangement as a special surprise. But not before another encore. Yes, the team went all out this time and the second encore might have gotten the biggest initial response of the night, battle themes from Final Fantasy VII. With Nuss on piano, this was fittingly a much more fast paced and aggressive encore, running through the many fan favorites from that particular game. As before, they teased “One Winged Angel” before interrupting it, which hopefully will anger some of the more overly opinionated fans, but at its place was “JENOVA,” which was a true delight to hear in such a strong orchestrated form, proving itself to be even more effective than “One Winged Angel.” What followed was the longest standing ovation I’ve been part of, and Uematsu along with the arrangement team and Nuss took the stage for a final bow. On July 9th, I saw the greatest orchestra in the world, and I left a concert which was the greatest live music event I have ever attended. “a man flexing back and winking at me in return.” I laughed out loud. Yeah, I don’t know. I loved “Fierce Engagement” in the Final Fantasy suite. Thought I was the only person who gave a crap about that song. The SaGa piece was also one of my favorites. I’m on the side of not being overly impressed with “Silent Light,” as I think it could have been much more powerful with an orchestral backing. I think the point to Silent Light is more that it could be impressive with orchestra, yes of course. But the entire night was orchestra, here we had a chance to see the choir’s full potential, and it was absolutely mind blowing. Looking at the minimalistic use and the massive effects of that, it’s more than powerful enough on its own. The orchestra simply wasn’t needed to tell that particular story. Thank you deeply Nikolas, means a lot. And thank you for the update, my little pocket notebook had Janni. I hope that this makes it to a cd release. I would think it more likely than Symphonic Legends as that was Nintendo and they are (for some unknown reason) very particular about who gets the rights to their music. Regarding Suteki da Ne, the album credits Uematsu as the composer and Hamaguchi as the arranger. Maybe you read something in an interview or something? Also hoping for a CD release! Well, Fleeting Dream is something like Wanamo’s arrangement of Hamauzu’s arrangement of Uematsu’s Suteki Da Ne. In the end, it might sound more like Hamauzu because the harmonies are so distinctive for him, but the melody is based on Uematsu’s composition of course. I’ve got no idea who I should credit the most for this piece, but I do know it’s a stunning and beautiful collaboration. As everyone else has written (and those who haven’t written have most likely thought), a great report of a great concert. I agree with you, Audun, about Silent Light being one of the major highlights of the night. I only wish there were more a cappella performances of video game music. (Maybe I have to take that into my own hands…) My own two lasting favorites of the night, though, were Wanamo’s Final Fantasy piano concerto and Valtonen’s Lost Odyssey suite – especially the ending with the hand bells and the high-pitched tone on top. THAT brought tears to my eyes and made me shiver down to my core. Even without the encores, I would’ve left the concert hall happy with such a subtly powerful and poignant ending.